I just have a simple question that I have researched and not found a clear concrete answer to. I got a new 3 way touch sensor switch for my touch lamp. 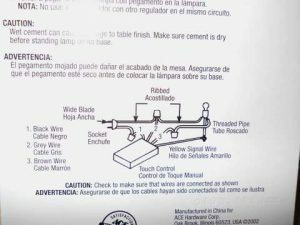 The old sensor has the black, red, white and yellow wires. The new one has the yellow, blk, but brown and grey wires. I have gotten conflicting answers as to which the grey and brown go to. One talks as if the red and grey are the same then another sounds that the red and brown are the same. I hope you can help me as I do not want to connect incorrectly to either hurt the new sensor or the lamp itself. Pamela sent me a picture showing the old unit and the new one partially connected, with the only question being where does brown and grey connect to, the red or white, the white or red, etc. Here is a diagram of how the old sensor was connected. I asked Pamela to send me the instruction sheet that came with the new dimmer. Without it I would have guessed at the wrong connections again, given the old wiring colors compared to the new ones. 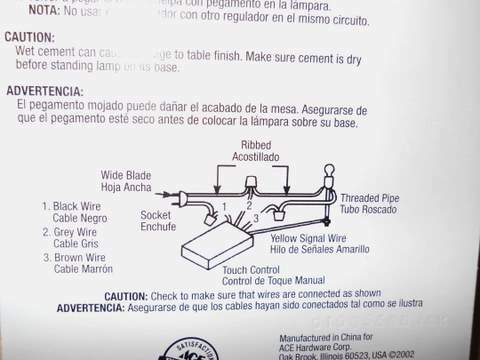 Here is a scan of the wiring instruction sheet. 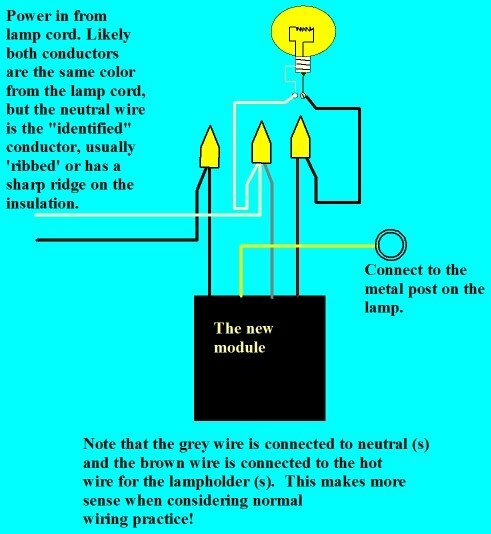 So given this information, here is the wiring diagram for connecting the new unit. 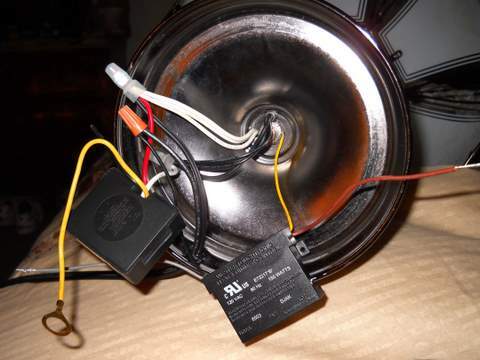 So it took a few e-mails back and forth with Pamela, but she now has the lamp back up and running like new. Thanks Man!!!! 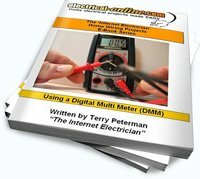 Now, I hope I can say I do have personal help for any electrical needs?? Have a great day! As for me, I have a new post for the website! Keep the questions coming! 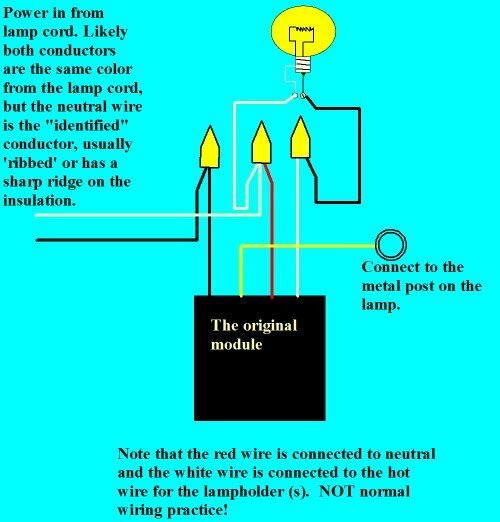 This entry was posted in Electrical Wiring, Home Electrical How-To, Q & A and tagged connection diagram, cord, hot wire, neutral wire, plug, Touch lamp. Touch dimmer. Bookmark the permalink.